Posted by Yilan in Macedonia, Russia. A cornerstone laying ceremony kicked off the construction of a pharmaceutical plant in the free economic zone of Bunardzik near Skopje FYR Macedonia, a EUR5 million-investment of the Russian company ‘Prodis’ – part of the pharmaceutical holding ‘Protek Group’. The FYR Macedonia project will be realized in two stages and open a total of 300 new jobs, ‘Protek Group” CEO Vadim Yakunin said at the ceremony, also attended by Prime Minister Nikola Gruevski. 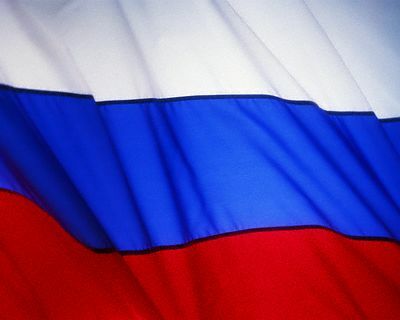 ‘Prodis’ will manufacture homeopathic and herbal medicinal products, aimed for the Russian Federation and the markets of former USSR, Yugoslav and overseas countries,’ Yakunin said. FYR Macedonia Prime Minister Gruevski expressed belief that many Russian companies would follow the suit of ‘Protek Group’. Foreign investments will keep entering FYR Macedonia thanking to the Government’s policies for sustainable economic growth and constantly advancing of the business climate, Gruevski said. “The new investment in Bunardzik will narrow the technological gap between the Macedonian and foreign companies, while direct, indirect jobs will mitigate the unemployment problem,” Vice-Premier Zoran Stavreski said. Earlier today, Prodis director Cost Dimov and heads of the Agency for Foreign Investments and Technological and Industrial Development Zone Skopje 1 – Bunardzik – Viktor Mizo and Natasa Hadzilega respectively – signed the documents launching the Russian investment. Gruevski and Protek’s top officials also attended the signing. Protek Group is one of the largest pharmaceutical companies in Russia. The Group has a diversified business structure and is active in all industry sectors, including production of medications, distribution of health and beauty products, and retail sales. Established in 1990, it is the largest distributor of drugs and cosmetics in Russia. Posted by Yilan in Human rights abuses, Macedonia, Russia. Russian FM Sergey Lavrov called on Macedonia to consider joining the South Stream gas pipeline project during his daylong visit to Skopje on Wednesday. “Russia is seriously considering the possibility that South Stream passes through Macedonia,” the Russian minister said. During his meeting with Macedonian officials in Ohrid, Lavrov also sent a message that Macedonia did not have to choose between Europe and Russia, adding that thesis was outdated. “Unfortunately, some European politicians cling to the outdated logic, forcing some countries to make such choices – either you are in Europe or with Russia,” pointed out the Russian minister, who was the first Russian foreign minister to visit Macedonia after a whole decade. Macedonian Foreign Minister Antonio Miloshoski said that Macedonia would cooperate with Russia as long as both countries had common interests like other European countries. “This friendship and this visit are an investment in developing the common goals, Miloshoski said, adding that the divisions into East and West from the Cold War period had become a thing of the past. Lavrov met in Ohrid with Macedonian President Djordje Ivanov and Prime Minister Nikola Gruevski. Over the past ten years, Russian companies have invested about a billion dollars in mining and energy industries in the new Balkan nation of Macedonia. On a visit to Skopje Wednesday, Foreign Minister Lavrov also indicated Russian readiness to grant a Macedonian request for a spur from the planned South Stream gas pipeline to Southeastern, Southern and Central Europe. 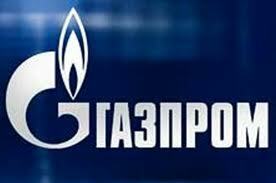 Macedonia will get Russian gas, while Albania and Kosovo won’t. Kosovo must come to terms with Serbia first, which continues to see the self-proclaimed state as a renegade Serbian province. The Russian minister was speaking about this in Skopje Wednesday after emerging from talks with his hosting counterpart Antonio Milososki. The visit produced cooperation agreements between the national archives and between Podgorica and St Petersburg Universities. Ahead of the 300th anniversary of diplomatic relations later this year, Mr Lavrov delivered a Russian present to Montenegro, a package of historical documents. He also thanked Montenegro for help in dealing with Russia’s wildfires last summer. The Republic of Macedonia wants to join a pipeline planned by OAO Gazprom and Eni SpA’s that will carry Russian natural gas across the Black Sea through Bulgaria to western Europe. Macedonia’s government will meet with Gazprom officials in the capital Skopje on Oct. 1 to discuss extending a leg of the link to the Balkan nation of 2 million people, the country’s Finance Ministry said today on its website. Macedonia, along with Romania is seeking to join countries including Austria, Bulgaria, Greece, Hungary, Slovenia and Serbia as a partner in the onshore section of South Stream that is scheduled to deliver gas by the end of 2015. One section of the pipeline would terminate at OMV AG’s Baumgarten hub, currently the destination for about a third of Russia’s gas exports to western Europe. South Stream competes with the OMV-led Nabucco pipeline, which aims to bring gas from the Caspian Sea region and the Middle East to Austria via Turkey to reduce Europe’s reliance on Russian supplies. 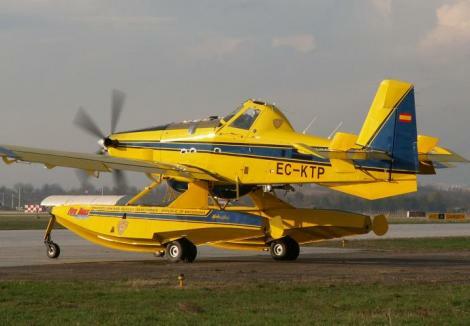 The Macedonian government announced on Thursday that it would send two firefighting planes to Russia to help combat the wildfires there, according to news from Skopje. Apart from the two planes, Macedonia will also send 20 firefighting experts to Russia to help with the work, Macedonia’s government information service said in a press release. The wildfires in Russia, triggered by a heatwave, have so far killed over 50 people and burned thousands of hectares of land.